Ugly fungus spots on leaves can mar the beauty of ornamental plants or affect vegetable crops. To help prevent fungal diseases returning, rake up and dispose of the dead leaves of affected plants in late fall and replace mulch around perennials and shrubs with new mulch. Always allow plenty of space and air movement between your plants, and treat their foliage with an antifungal spray as soon as possible when you see a problem. If you can't afford ready-to-use sprays -- or consider them too dangerous -- you can make your own from household products. Many homemade antifungal sprays are variations of a formula originally developed by Cornell University. It called for mixing 1 tablespoon of baking soda, 1 tablespoon of horticultural oil, and 2 drops of dishwashing soap with 1 gallon of water. Subsequent versions often raise the amount of soap to 1 tablespoon, and sometimes call for insecticidal soap rather than dish detergent. The soap, originally intended as an emulsifier, shouldn’t be necessary if your horticultural oil already includes an emulsifying agent. 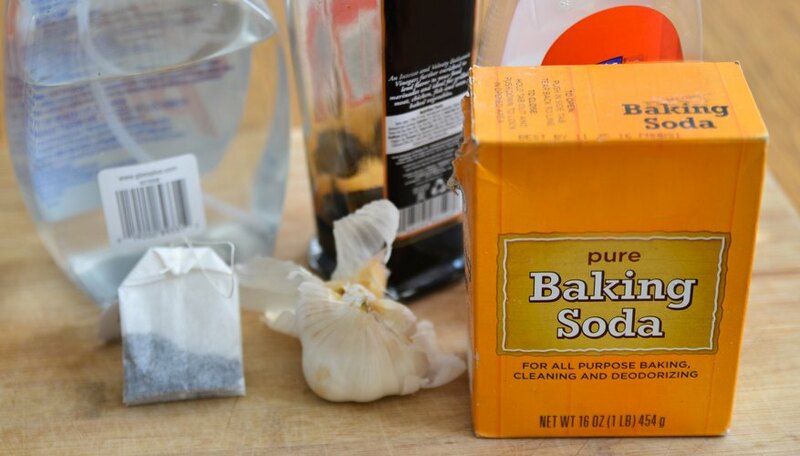 Baking soda sprays, such as the Cornell formula, reportedly can be used to treat or prevent anthracnose and some blights as well as black spot and powdery mildew. Fungi-fighting garlic (Allium sativum, hardy in U.S. Department of Agriculture plant hardiness zones 3 through 8) is a multitasker, as it will kill insects as well. However, it isn’t selective about which insects, so be careful not to use it when beneficial ones are present. 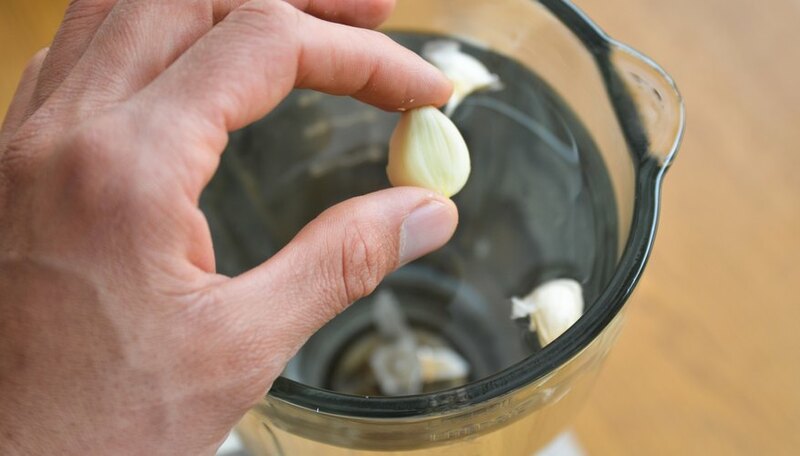 In "Jeff Cox’s 100 Greatest Garden Ideas," Cox recommends breaking up one head of garlic into individual cloves and pureeing those cloves in 1 quart of water in a blender. After adding 1 teaspoon of pure (castile) soap to the slurry and stirring it, strain the mixture through cheesecloth into a 1-quart jar, and discard the chopped garlic which remains in the cheesecloth. 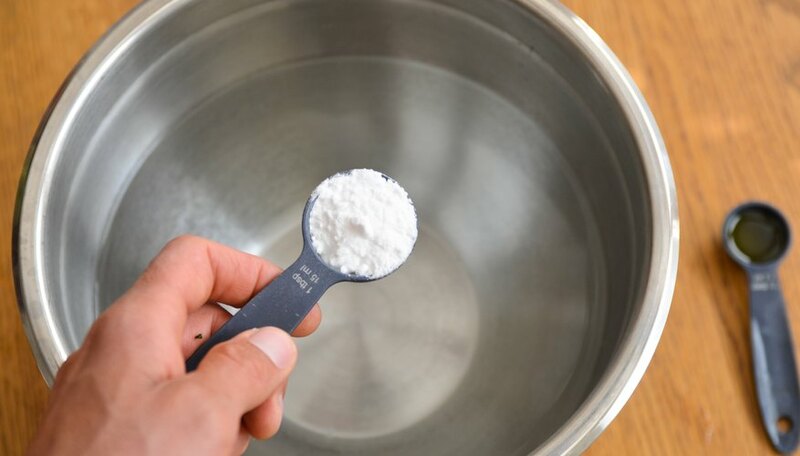 Mix 1 teaspoon of baking soda into the liquid and top up its jar with water before straining that liquid through the cheesecloth a second time into your sprayer. The garlic spray can be used to control black spot and powdery mildew on outdoor plants, but probably will be too smelly for indoor use. The herbs chamomile (Chamaemelum nobile) which grows in USDA zones 4 through 9 and horsetail (Equisetum hyemale), which grows in USDA zones 4 through 11), may help fight powdery mildew or damping off problems. 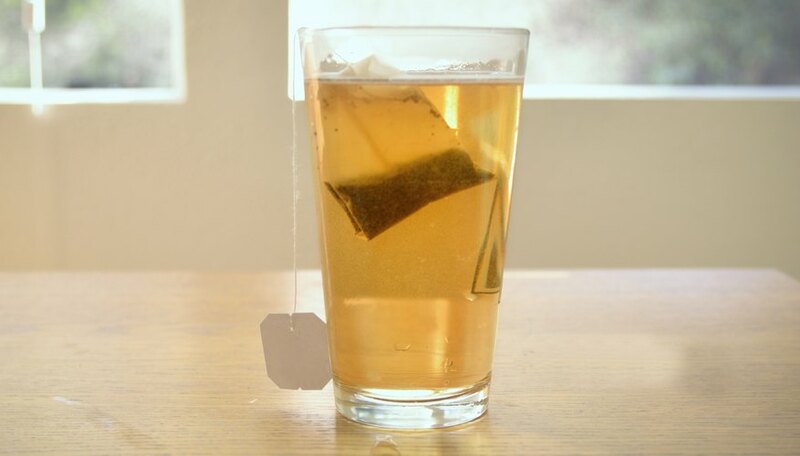 According to Graham Price of the Australian Rhododendron Society, you can make a chamomile fungicide by brewing a cup of that herbal tea as you usually would with a single teabag and 1 cup of boiling water. Allow it to steep for 15 minutes, then add another 1 cup of water to make 1 pint of solution. To brew a horsetail antifungal spray, Jim Long of Mother Earth Living suggests you place 1 cup of chopped fresh horsetail in a saucepan with 6 cups of water. Boil the herb for five minutes, strain the solution, and allow it to cool before applying it to your plants. For best results, make your sprays with rainwater instead of chlorinated water. 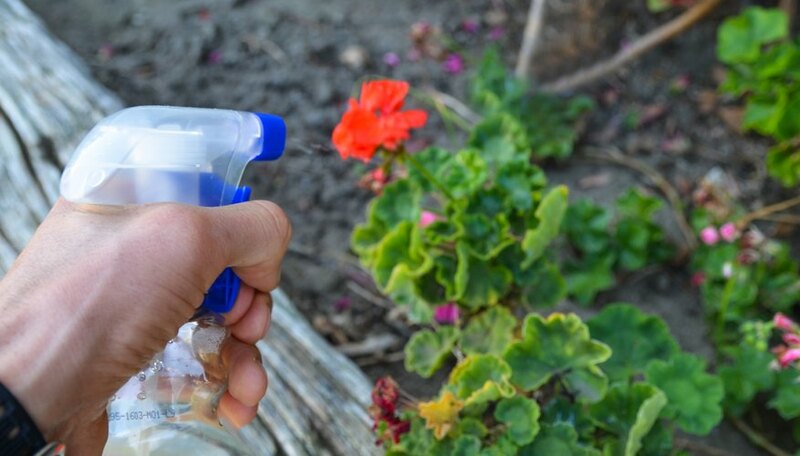 Before applying a homemade spray to your plants, test it on a leaf or two and wait a couple days to see whether those leaves show any adverse reaction. Always try to spray in the cool of early morning, before the temperature rises above 85 degrees Fahrenheit. This should prevent burning and allow the plants time to dry out before evening. Although most homemade sprays aren’t toxic, it is still a good idea to wear goggles, a respirator and protective clothing when applying them to avoid irritation to your eyes, lungs or skin.